Alyssa Parsons won first place on her final Master's thesis at Montana State University. The project turned into a proposal of a design process to optimize views and rent distribution for a high-rise building in downtown San Francisco. It explores the relationship between design intent and design response with the goal of improving the built and emotional environment through manipulating data sets using Grasshopper. The project consists of a series of negotiations to minimize any impact on the initial optimization (views), with the intent of preserving the view quality of every exterior wall, in order to establish the necessary infrastructure. 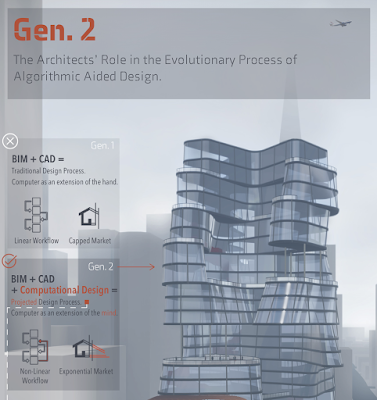 A traditional building form was analyzed through the same view optimization algorithm and the results were compared to the final building form. For more information please contact Parson by email or call 925-818-9372.